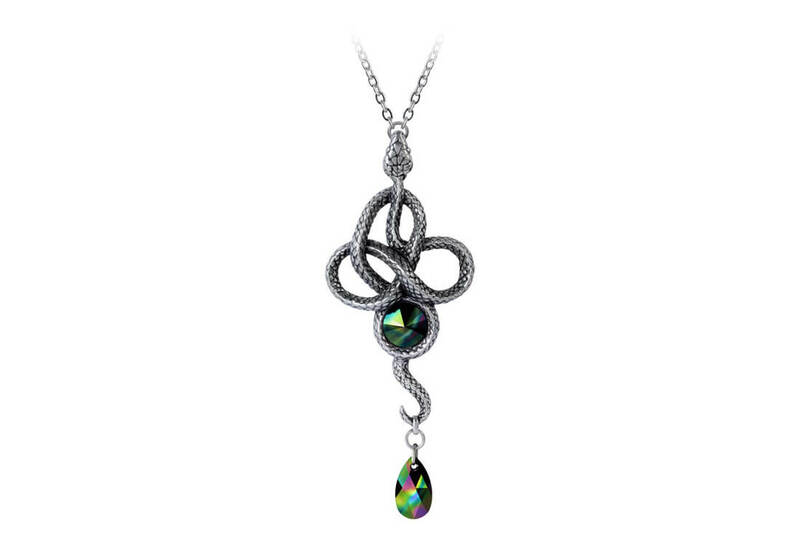 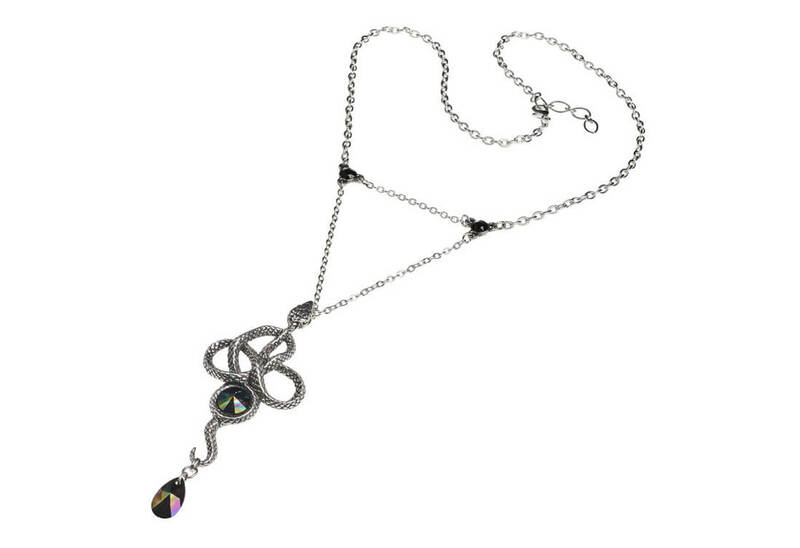 The serpent, an enticing creature coils around a dark petrol Swarovski crystal. 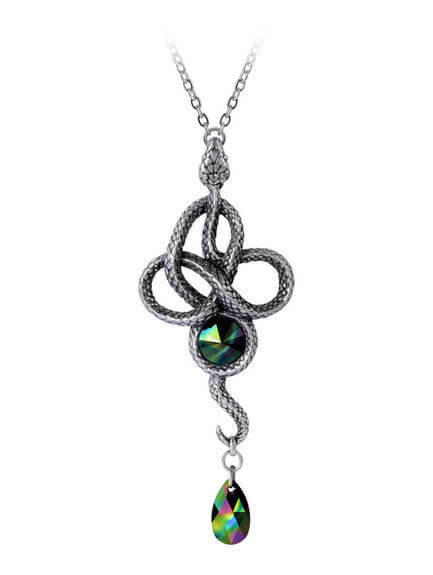 Coiled in a triple loop the serpent has a dropper linked to its tail. 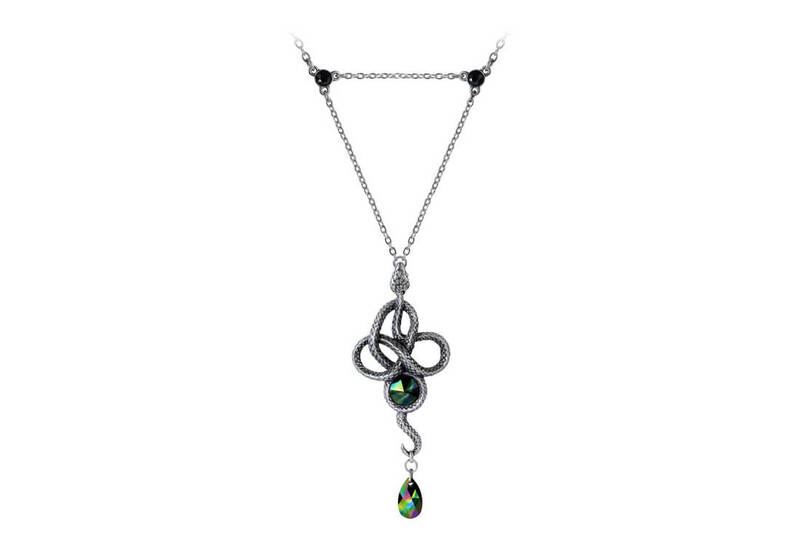 An exceptional piece by Alchemy and sure to be a treasured part of your wardrobe.